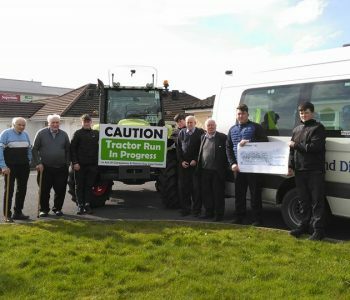 Tractor run organisers Killian Lalor and fellow 5th year students from Colaiste Baile Chlair presenting a cheque for 2400euro to Claregalway & District Day Care Centre last Friday. Tremendous result from a great event. The lads are already planning next years run and are looking for an old tractor to work on and renovate over the winter and raffle for next years event. Thanks again for all your efforts lads and to all who sponsored and took part in the run. 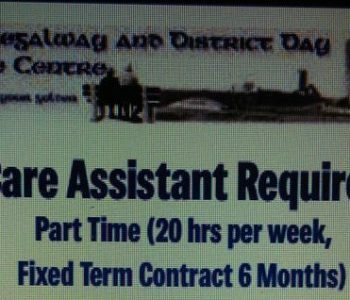 The CDDCC is looking to recruit a care assistant, (FETAC/ QQI Level 5 Healthcare Support with care of the elderly module a requirement) to work alongside the current staff and volunteers at the centre in Claregalway Village. Starting and finishing near Claregalway Community Centre. 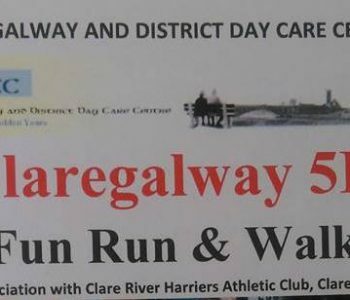 Entry fee is €10. Any additional donations for the Day Care Centre will be accepted and noted.